You have to select SuperSU in order to root the phone. It is a simple one-click process and does nothing other than enabling root on your phone, without the need of a custom recovery. However, for the newbie, it is to be mentioned that rooting voids warranty, but if you want to unroot the phone, you can do the same from inside this app later, when you decide to give the phone for service or repair. Note: It will automatically change the permissions of those files by asking you for a prompt. Note: Just copy the APKs to this folder, DO NOT install them. And you are done. 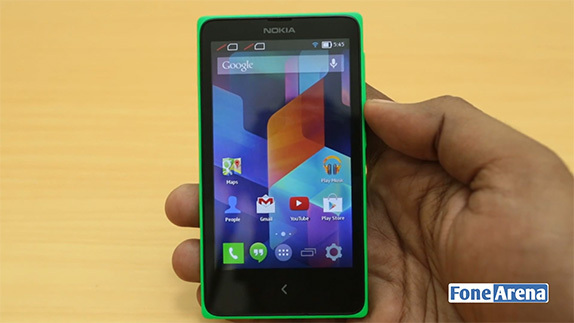 Nokia X will now happily work with all the Google services and apps. You can install anything you want now, just like your Android phone, everything except the Google+ app works for us. But we think it will be a lesser preference, when other things work perfectly well. It is a reasonably simple process to perform, and things go smoothly for the most part, but please do not mess up the steps because we, or the XDA folks, will not be responsible for any kind of damage to your phone. With that said, this painless process has a high success rate, so don’t worry and if you are craving for Google apps on your Nokia X, this is the easiest way to do it. Credits to this XDA thread for serving as our only reference.